CLSW return to St. Sepulchre, the musicians church, to perform their final concert of 2017. 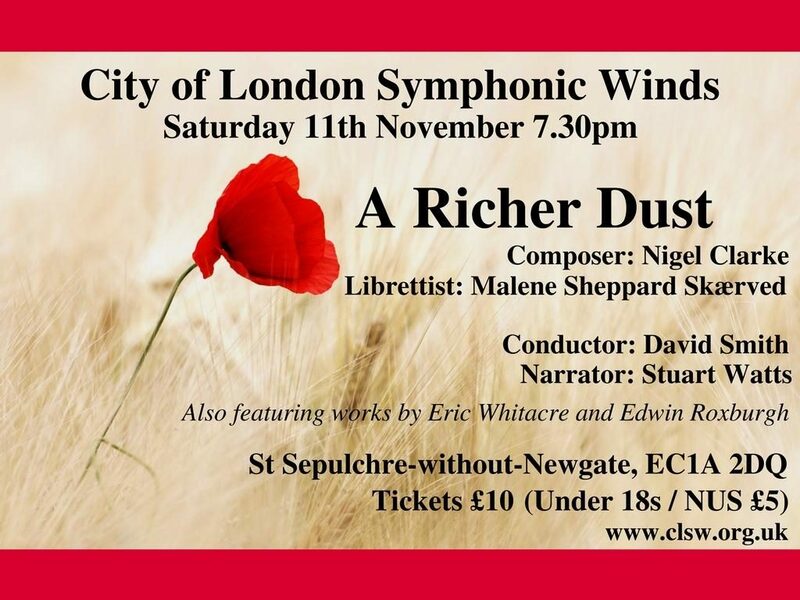 The concert will feature a major performance of `A Richer Dust’ (Symphony No. 1 for Speaker and Wind Orchestra), by composer Nigel Clarke and librettist Malene Sheppard Skaerved. CLSW will be joined by Stuart Watts as narrator, with David Smith conducting. The programme will also include works by Edwin Roxburgh and Eric Whitacre. There will also be a short talk given by the composer and librettist of the symphony in the first half of the concert.